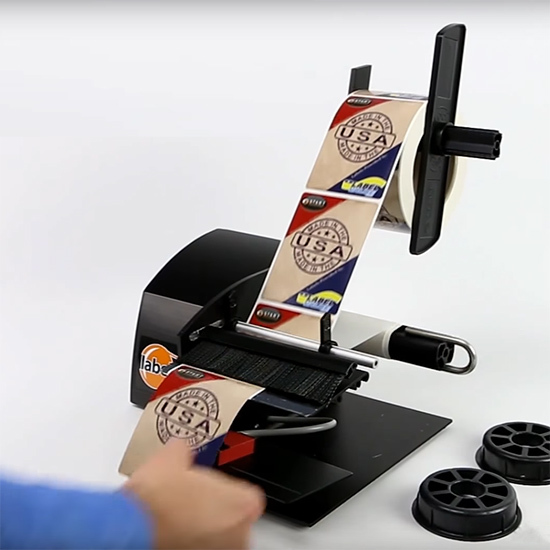 The LabelMoto® LD6050 high-speed electric label dispenser automatically peels and advances most types of labels and die-cut parts made from paper, polyester, vinyl, acetate, foam, foil, and other materials. The LD6050 has a photosensor, which ensures that the unit peels, dispenses, and advances accurately and consistently. The liner scrap is automatically rewound for a clean working environment. No tools are required to adjust the dispenser for different label sizes. It also has an adjustable strip plate for hard-to-release labels. The dispenser has a high-torque motor to handle the weight of large-diameter label rolls, with a maximum outside roll diameter of 12"/305 mm. The dispenser housing is made from anodized aluminum for durability. 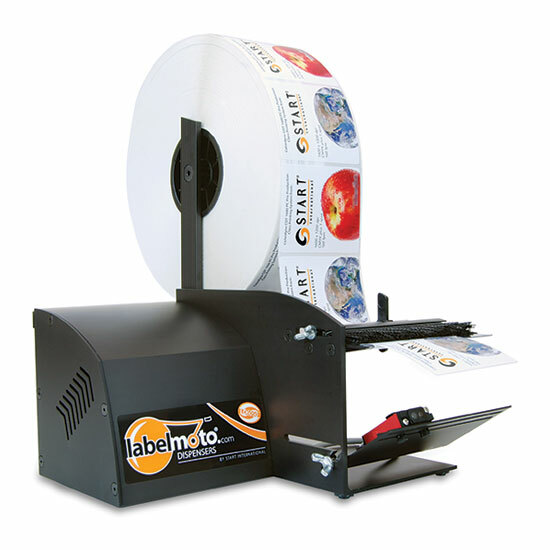 The Labemoto® LD6050 label dispenser operates on 100/120 VDC at 50/60 Hz. This label dispenser is made in the U.S. It is suitable for industrial uses such as manufacturing, assembly, and packaging. 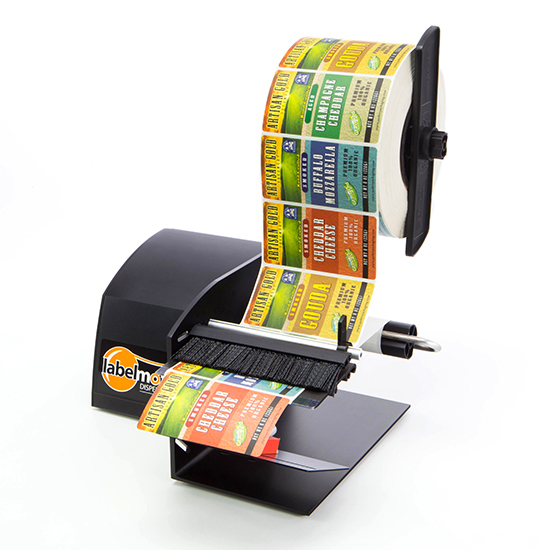 Check out our brand new Labelmoto Electric Label Dispensers here .